International Creative Director, Andy Heasman along with Artistic Team members Chris Williams, Tina Farey and Seung-Ki Baek showcased Rush’s latest cutting and colour collection at the Rush Academy on Wednesday 18th November. The day started off with colour and cutting stylists from Rush salons taking a look at the collection showcased at this year’s Rush Live. 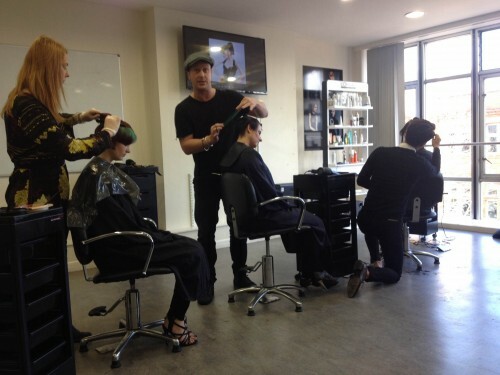 Rush believe in the importance of education and have recently introduced a new course for expert stylists. 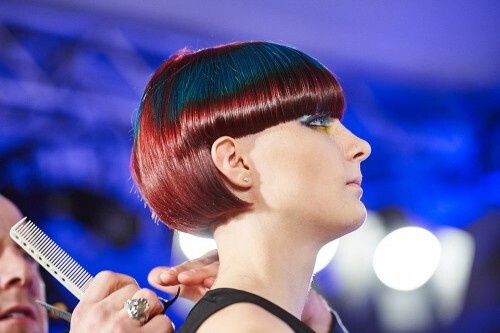 Members of the Artistic Team teach colour and cutting stylists several times a year new techniques to commercialise artistic trends and how to bring more creativity to each salon. The focal trend was graphics, working with shapes, distortion and asymmetric cutting techniques for a sharp finish. The graphic colour collection trends were shadowing, shine bands and graffiti artwork. The session team was led by Award-Winning Tina Farey who showcased their unique styling trend, Neo-Tapestry with intricate basket weaving and braiding techniques with UV threads woven throughout. The overall collections inspiration was dynamic youth energy and graffiti art. 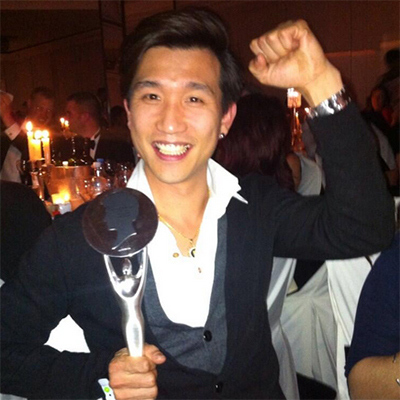 Previous British Hairdressing Award winner and 2015 finalist, Seung-Ki Baek presented a chunky defined bob look, sharing his techniques to achieve a softer approach to the popular celebrity trend of shaved sides. He created a more classic, chic look which never goes out of fashion. November 2015 is an exciting time for Rush and the Artistic and Creative Team with Andy Heasman, Seung-Ki-Baek, Ben Russell and the Artistic Team as finalists for the British Hairdressing Awards on 23rd November 2015. The Artistic Team’s collection was inspired by the modern silhouettes of architect Renzo Piano. Each individual look features strong, organic and geometric outlines juxtaposed with texture, movement and strong colours. Good luck to the team on Monday night, stay tuned for the results!